Buying a new home is one of the most exciting experiences a person or family can have. Of course, before you can step foot into your new dream home you will need to get prepared financially, especially if you are taking out a mortgage to cover some of the purchase price. Let’s take a look at a few key steps that will help you to prepare for the financial background checks that are part of the mortgage process. The first place you’ll want to start is making sure that you are fully caught up on any income or other taxes. Rest assured that your lender will be checking your financial history and being behind on government payments is a significant red flag. Make a quick call to the IRS or visit them online to check on your status and verify that you’re fully paid up. You’ll also want to have your down payment amount saved and ready for use. Your mortgage lender will want to know how much of your savings you’re contributing to the overall purchase price. Also, if you’re committing less than 20 percent down you may be required to purchase private mortgage insurance. Finally, check in with your mortgage lender to find out what paperwork you’ll need to bring in for your approval meeting. Recent W-2 or tax returns, pay stubs and financial asset information is a good place to start. Your lender may have other requirements so check in to find out what’s needed or give us a call and we can share some insight. These are just a few of the tasks that you’ll complete on the path to securing your mortgage financing and buying your new home. For more information on the mortgage process or to start your pre-approval, contact us today. Are you thinking about buying a new home? If you are going to take out mortgage financing, one consideration you will have is your down payment, which is the amount you pay up front in cash to cover some of the purchase cost. Let’s consider a few points that will help you to decide how much is the right amount for your down payment. How Much Do You Have? The most obvious question you will need to answer is: how much do I realistically have to place as a down payment? Keep in mind that your down payment is money that you aren’t going to see again until you sell your home. While you want to invest a significant amount for reasons we will share below, you still need to maintain a cash cushion of a year’s salary or so in case you fall ill or lose your job. The main case for putting as much as you can into your down payment is that the more you invest, the less you have to borrow. This means that over time, you will pay less interest and you will also have lower monthly payments. Keep in mind that with today’s low interest rates it’s a bit less of a burden to carry a large mortgage. However, these rates may swing upwards over the years, which will increase your costs. If you’re going to put less than 20 percent down on your home, you’re almost certainly going to be required to purchase mortgage insurance. There are numerous options available to you, including those offered by the Federal Housing Administration or FHA. Your mortgage lender will share this and other private insurance policies that will protect you. Finally, don’t forget to factor in the lost opportunity cost that comes with investing a large down payment. Unless you have a terrible money manager, your mortgage interest rate is likely to be less than you would be able to make investing the difference in your financial portfolio. If you’re thinking about putting an extra $50,000 in your down payment, consider that you might be able to make 5 to 10 percent on that over the next decade. There are no guarantees in investing, so speak with a professional for further guidance. It’s not easy to choose the perfect amount for your down payment. If you have further questions or would like to know more about your mortgage options, contact us today. We’re happy to share our experience to help you choose the best mortgage for your new home. Are you in the market for a new house or apartment? If you are financing the purchase by taking out a mortgage, you’ll want to know how to make this transaction run as smooth as possible. In today’s article, we’ll share a quick four-step guide to speeding up the mortgage closing process. The first step before applying for your mortgage is to check in on your credit. Request a copy of your credit score and history from one of the major reporting firms. Go over this report, paying close attention to any old or outstanding items that you may have already dealt with. Many individuals have old delinquencies that must be challenged to be removed from the report, so take care of these first before applying. As with any loan, taking out a mortgage requires a small mountain of paperwork. The best way to speed this process up is to have all of your financial documentation ready for inspection and use by the lender. Note that each mortgage provider has different requirements for what you’ll need. A brief list of some items which are commonly requested includes your current employment details, recent pay stubs, recent W-2 forms or tax returns, proof of self-employment or other means of income, asset details such as bank accounts and investments and debt information such as other mortgages, student loans and more. If you have already settled on the home that you want to buy, it’s best to get your offer prepared in advance of being fully approved for mortgage financing. Your real estate agent will be able to help with crafting an offer that is subject to the home passing an inspection. It’s especially important to have an offer ready in the event that other buyers are competing for the same home that you are. While your lender is completing the home appraisal process, you should be having the home inspected. Getting the inspection completed promptly will prevent any delays due to problem areas that might be uncovered. For example, a pest problem like termites may need to be dealt with, or minor repairs to the roof structure may need to be scheduled. Following the steps above will help to ensure that your mortgage closing process goes as smoothly as possible. To learn more about your mortgage options or to get the pre-approval process started, contact us today. Our friendly mortgage professionals are happy to assist. Whether you are just starting to shop for a new home or you’ve been paying off your mortgage for years, the news of potential interest rate increases may be worrying. Of course, interest rates naturally cycle higher and lower over time, so is there anything to be genuinely concerned about? In today’s article, we’ll explore interest rates and how you can prepare for an upward trend in rates if and when the time comes. If you already have a mortgage, the first step would be to speak with your lender to discuss what’s coming in regards to interest rates. If you are locked into a “fixed” rate, check and see how long you have left before this needs to be adjusted. If you are on a floating or adjustable rate, you may be able to lock that in for a few years. If you do not already have a mortgage advisor or if you want a second opinion, we can help. Get in touch with us at your convenience. It is always a good idea to understand when the best time to refinance your mortgage might be. In short, refinancing refers to the process of swapping out your current mortgage loan for a new one. Your new mortgage pays off your old mortgage, and you continue forward paying down the new loan. This is typically done when interest rates are on the way down, but refinancing applies to many home owners at different times. Have an honest discussion with your lender to determine if refinancing is right for you. 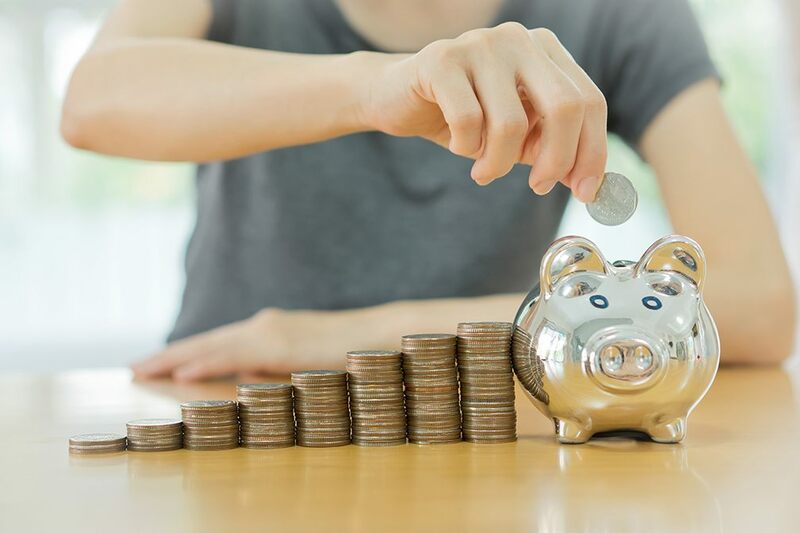 Finally, if you are truly concerned that you may have to spend a bit more to cover your monthly mortgage payment in the future, it’s best to start saving now. Put aside an extra $25 or $50 each month into a savings account where it can stay until you need to use it. The upside is that, if you don’t need it, you’ll have a nice nest egg which can be invested or added to your retirement savings. Aside from preparing yourself financially, there is little else you can do about the direction of mortgage interest rates. To learn more about rate trends or to discuss how they might impact your mortgage, contact us today. We’re happy to share our experience and insight to help you make the best decision. You Ask, We Answer: What Are the Fees and Costs That Come Along With a Mortgage? Have you been considering a mortgage for your next home purchase? As with any loan or financial product, there are a variety of fees and costs you may incur in the process of closing your mortgage. In today’s post, we’ll explore a few of these potential fees and the situations in which you may encounter them. Let’s get started! You’re almost certainly going to incur insurance fees and charges. In most cases, you’ll need to pay for title insurance for the lender, which is based on the purchase price of the home but varies from state to state. This protects the lender if something is missed during the title search, which shows whether or not there are any liens on the property. Depending on the lender, you may or may not be assessed an underwriting fee. When you apply for a mortgage, there’s an intense amount of research required to determine the types of mortgage products that you qualify for and the amount of financing you can afford. This fee covers the costs involved in conducting this research. This may also be referred to as the ‘origination fee’ or included within it. As mentioned above, there are title costs associated with finalizing your home purchase. 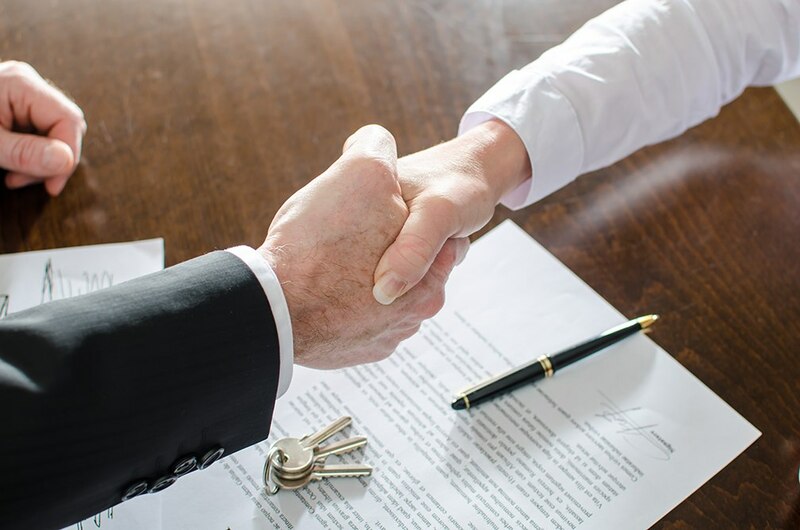 As the name suggests, the closing fee covers the cost of having a representative from the title company present at the final ‘closing’ of the deal. This professional supervises the formal legal transfer of the home from the previous owner to you. Speaking of legal, in most states you will require an attorney for some part of the closing process. This may or may not be related to the mortgage financing itself. For example, in some states, you will need to have an attorney present when you finalize the mortgage paperwork. In others, you’ll only need them for other parts of the purchase transaction. Finally, there are a handful of less common fees and costs that you might incur. These range from courier fees to get documents moved around the city to bank and wire fees to transfer your down payment. While the list above may look like a lot, in the grand scheme of your total mortgage cost you won’t even notice most of these fees. For more information about mortgage fees or to apply for financing, contact our friendly team of mortgage professionals today. We’re happy to help. Are you in the market for a new home? If you are going to rely on mortgage financing to cover some of the purchase cost, you will need to start the application process as soon as possible. However, what if you just need to know how much you will be able to borrow so you can start finding homes in your price range? Let’s take a quick look at the difference between being ‘prequalified’ and ‘preapproved’ for mortgage financing. The first step in obtaining mortgage financing is to speak with a mortgage professional to get prequalified. 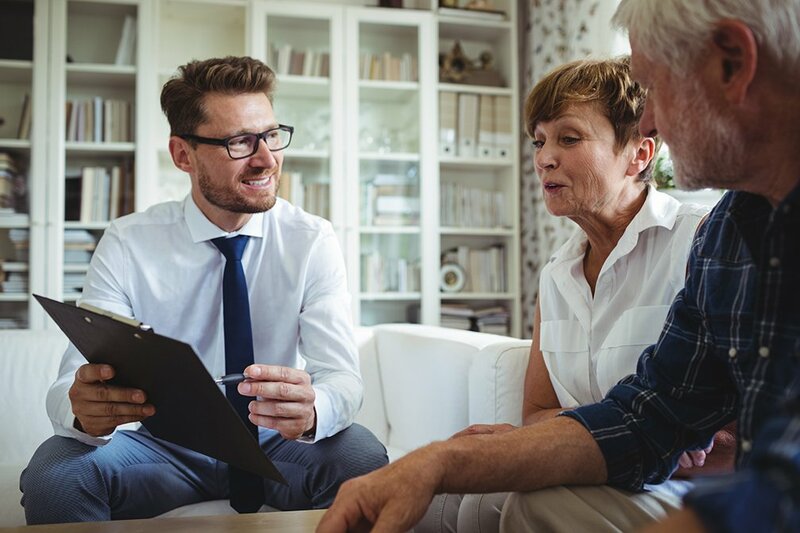 After sharing some quick information about your financial assets, income, and any debts, your advisor will share a range of financing options and amounts that you may qualify for. Prequalification is typically done free of charge and either in person or over the phone. Note that your mortgage lender will not be doing any digging in the prequalification stage. There’s no credit check and no hard look at your assets. Don’t get too excited if you are prequalified for a large mortgage as you will still need to be approved. Preapproval, on the other hand, is a firm commitment to access to a certain level of mortgage financing. Your mortgage lender will require a variety of information to get an idea of your financial situation, your current and future employment, your level of risk and more. Once they have a good idea of how much mortgage you can afford, you will be provided with a conditional commitment letter. This letter outlines how much the lender is willing to offer to you as well as other vital information like your mortgage loan interest rate. Finally, it is worth a mention that you can speed up the mortgage process by having all of your application paperwork ready before the initial meeting. Gather up your most recent income tax returns, pay stubs and bank statements. If you have investments or other financial assets, document those. You will also want to be up front about any outstanding debts that you are paying off. The more prepared you are, the faster the application and pre-approval process will go. Have you found the home of your dreams? Our team of mortgage professionals are ready to help you finance it. Contact us today and we will be happy to assist you with getting both prequalified and approved for a mortgage. Are you ready for home ownership? 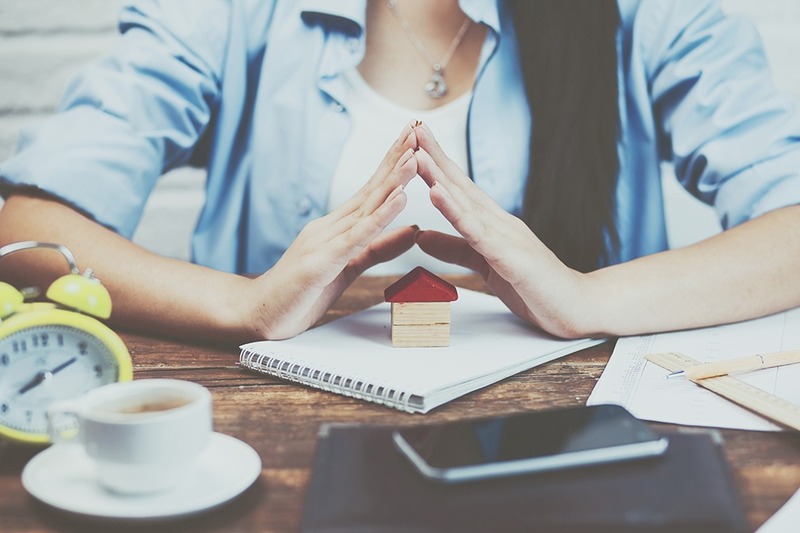 The prospect of owning your own house or apartment is an exciting one, but with any financial transaction this large there are some things to consider. The first is your down payment – that is, the initial payment you’ll put against the cost of the house to reduce the amount that you’re borrowing in a mortgage. Let’s have a look at four habits that will help you to get your down payment saved up faster. The first and most obvious tip is to stick to a reasonable budget. Determine how much you have coming in and going out of your bank accounts and credit cards each month. Group everything into areas like ‘food,’ ‘utilities,’ ‘dining out,’ ‘entertainment’ and more. Then, reduce each area to a reasonable amount and avoid any overspending. If you’re unfamiliar with the term, a ‘latte factor’ is that one consistent purchase that you make each day which, over time, drains your bank account. For example, if you spend $5 each day on your coffee habit that adds up to almost $2,000 per year in unnecessary costs. Pay close attention to your spending habits and try to eliminate anything that you can. If you’re working a stable job and have regular pay periods, you may want to explore setting up a separate savings account for your down payment. Once you have this account opened, set up automatic deposits from your regular bank account after each pay day. This limits your ability to spend your cash while building up your down payment fund automatically. Finally, try not to carry credit that you aren’t going to use. This includes department store credit cards, extra bank credit cards or lines of credit. While it won’t necessarily harm your credit score to have available credit, if you do have it you’re far more likely to use it than if you don’t. You’ll need to be disciplined to save up your down payment. So don’t bother with extra credit that may be too tempting to resist using. These are just a few of the smart money habits that will help you get your mortgage down payment saved up as quickly as possible. When you’re ready to discuss mortgage financing for your new home, contact our your trusted mortgage professional. Are you thinking about buying a new home? If you are going to make use of mortgage financing, you may be wondering about some of the costs attached. As you may have heard, all mortgages have a number of fees and other costs that are assessed at the “close,” or when you finalize the loan. Let’s take a look at a few expert tips that will help you to keep your closing costs to a minimum when you take out your next mortgage. One question that you will want to ask your potential mortgage lender is whether or not they offer a low-cost or zero-cost option. What this means is that rather than you paying the closing costs, the lender pays them on your behalf. While the upside is that you aren’t stuck with a hefty bill when you are approved for your mortgage, the downside is that you are likely to have a higher interest rate over the life of your mortgage. Another way to ensure that you keep your closing costs down is to opt for the right mortgage. There are a lot of options open to you in today’s mortgage marketplace and navigating them to choose the right one can be tough. There are FHA-guaranteed loans, VA loans, USDA loans, traditional bank financing and a lot more. As each type of mortgage comes with its own set of closing costs, choosing the best one to suit your needs can limit the amount you will need to pay. Finally, don’t forget that most mortgage lenders will offer a “rate lock.” This means that you can have a particular mortgage rate frozen for a set period. This might be 15, 30 or even 60 days depending on the terms of your mortgage. Using a rate lock can ensure that you keep a lower mortgage rate, even if interest rates were to change significantly in the meantime. There you have it – three tips that you can use to ensure that you keep your closing costs to a minimum when taking out your next mortgage. For more information about local mortgage options and insight into today’s interest rates, contact your mortgage professional today. Buying a home for the first time? 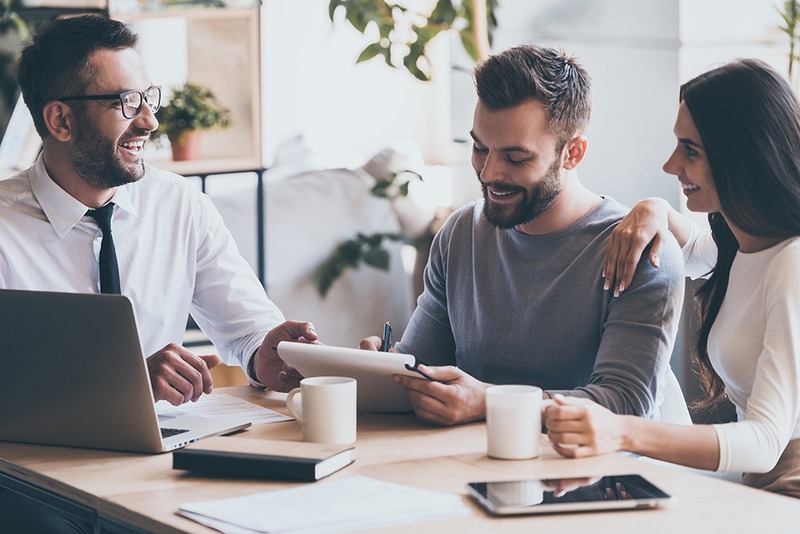 If you plan on taking out a mortgage, you will likely want to know just how you can get pre-approved for enough financing to get the home of your dreams. In today’s post, we will share four tips that will help you to boost your chances of a successful pre-approval when you apply for a mortgage. It should come as no surprise that your credit score is one area every mortgage lender is going to inspect. Order a copy of your credit report and be sure to go over any outstanding items in detail. Are there any old or retired debts on there that need to be removed? Or do you have any outstanding black marks that will need to be explained? If necessary, take the next step and visit a credit repair specialist to get things polished up. While it’s not mandatory to have a job to get a mortgage, you will certainly need to demonstrate that you have enough income to afford to make your monthly payments. Waiting until you (and your spouse or partner, if applicable) are gainfully employed will go a long way in making your lender feel confident about your repayment ability. Of course, you will want to avoid taking out any significant loans around the time you’re applying for a mortgage. Every lender will want you to demonstrate your ability to manage your debts. So if you’re trying to get a car loan, student loan and mortgage at the same time, you’re not likely to be successful. Finally, many lenders will want to see that you have at least three months’ worth of cash saved up. This is so that you can continue to make your mortgage payments on time, even if something unfortunate were to happen. If possible, it’s good to have as large a safety net as is possible. If you’re able to put six months of mortgage payments aside, don’t hesitate. You can even invest the funds in some low-risk or guaranteed investment and they will grow over time. 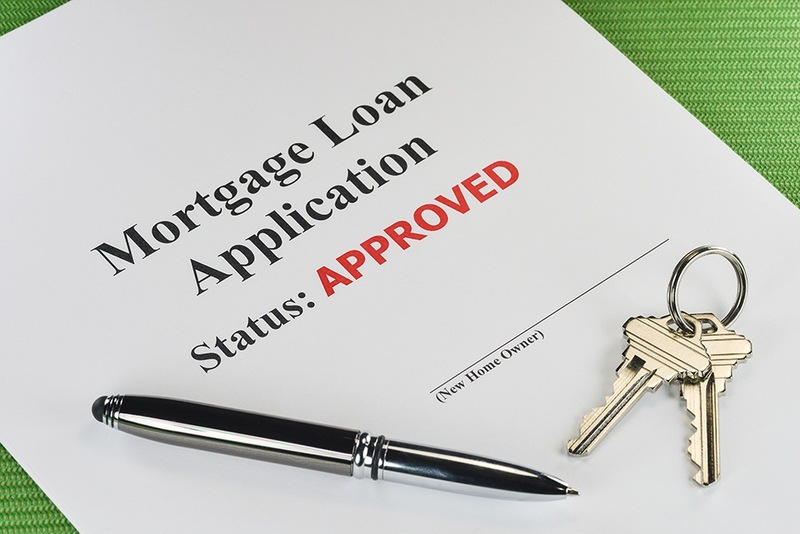 The mortgage pre-approval process is not meant to be scary or intimidating. In fact, it’s an excellent time to give yourself a financial tune-up before purchasing your new home. For more information about mortgage options, contact your trusted mortgage professional today. Are you thinking about buying a new home using a mortgage loan? If you’ve just graduated from college, you’re probably wondering how your student loans will impact a mortgage and what your options are. In today’s post we’ll share three things that you need to know about mortgages if you’re still working on paying off your student loan debt. You might as well embrace the fact that your outstanding student loan is going to cause some questions to be asked during the mortgage application process. Mortgage lenders have a responsibility to understand the risk involved in lending a significant amount of money to you. And because of this, any mortgage provider is likely to dig into your financial background to ensure that you are responsible and can afford to make the mortgage payments. Don’t take it personally. In fact, it’s best to be up front about your existing student loan or other debts and your plan for managing them. Your debt-to-income ratio is going to be a significant factor in the success of your mortgage application. This figure helps to determine how much money you need to send out to balance your debts each month versus how much you’re bringing in from working. If this ratio is too high, it’s a signal that you may not be able to juggle all of the payments you’re responsible for making. Also, keep in mind that over time, your job and income situation will change and this can affect your DTI ratio as well. Finally, you’ll want to ensure that you don’t miss any student loan payments. Even one missed payment – for any reason – can cause significant damage to your credit rating or FICO score. Successfully managing a higher-than-normal debt load means being strict with your budget and responsible with your payments. If possible, try to have your student loan payments taken out from your bank account automatically. That way you won’t forget or miss the payment deadline. While it may be a challenge to manage multiple types of debt, it’s not impossible. Juggling student loans with a mortgage can be done and offers the benefit of building your net worth while paying off your past loans. For more information about getting a mortgage when you have student loans, contact your trusted mortgage team today. We’ll be happy to share our insight and make recommendations that fit your situation. In what state is the property located? What is our desired loan amount? Please feel free to ask any questions you might have or provide any additional information below.